Jodhpur! Heritage beyond gauge and elegant flamboyance unmatched. Where else does one witness the Jodhpur Legacy more fittingly immortalized than the Polo Ground - personified beyond expectations and aptly encapsulated into a garment synonymous with this very city, the Jodhpurs. In the past decade or so, under the patronage of His Highness, Maharaja Gaj Singhji and his Family, the game of Polo has been infused into the system with gusto and has culminated into an annual date on international calendars. And for such events, the field is a buzz with style mantras from east to west, but what matters most is how one carries of their Jodhpurs, or Breeches. Be it player or spectator, it's a matter that the coterie is discerning about. Contrary to what fashion gospels may preach, the secret to the ‘correct way of wearing breeches’ has more to do with your body language than anything else. Inherently an integral part of equestrian attire, breeches are definitely not for the faint hearted & need to be worn with a ‘thoroughbred attitude’ that emanates Sauvé flamboyance & sways without inhibition or restraint, if worn on the polo field. Their versatility allows you a free ‘rein’ to wear them formally or casually, indoors & outdoors, daytime & evening. 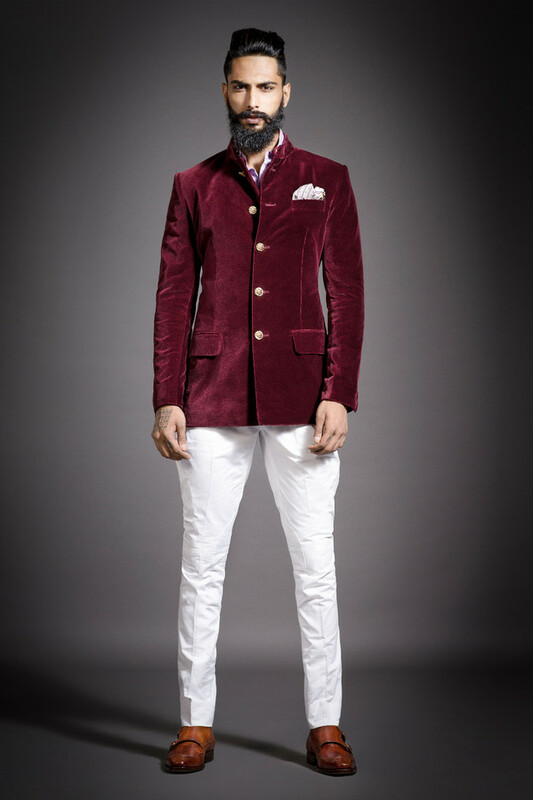 For a formal look, pair them with a matching or contrasting classic Bandhgala or add some colour by wearing them with a tucked in shirt under a Bandhgala. Go casual chic by pairing them with the classic breeches-shirt or breeches-kurta. For those more inclined towards a western look, the breeches look equally dapper with a tweed Hacking jacket or the two-buttoned sports jacket. 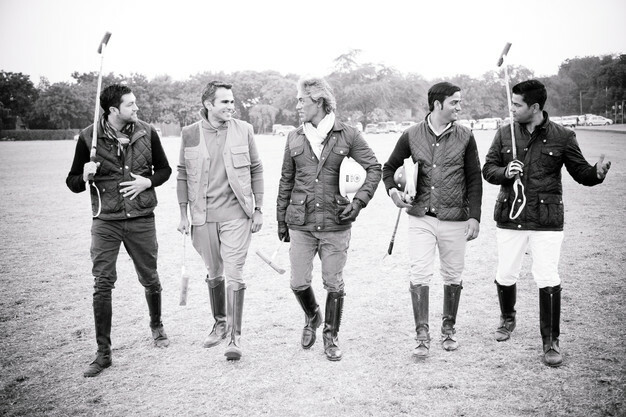 It eventually trickles over to a larger platform- with continued Patronage from the likes of the first family of Jodhpur, the potential becomes enormous, like a genie in a bottle, a sport which has survived centuries and sits well above the stratosphere of mass market sports, continues to carve a niche and reestablishing the fact that polo is Heritage not just Sport - like breeches are not just riding gear, rather they are Jodhpurs.